AyurvedicYogi » Delicious spring recipes! Now is the time to take care to reduce Kapha aggravating sweet, sour and salty foods which could cause water retention at this time. In common with the winter diet, minimise raw and cold foods, favouring warm, lightly cooked meals. Lighter grains such as quinoa, millet and barley are all Kapha reducing, but minimise wheat dominant foods and other mucous forming foods (dairy, wheat, refined sugar). Kitchari is an ideal detox recipe for Spring (See my recipe page for this and more). You can forage for some spring greens which are naturally abundant just when we need their bitter, cleansing properties. Examples include wild garlic, nettles and sorrel. Wild garlic is one of the easiest to collect from shady woodlands and parks. We are eating wild garlic risotto this week, one of my favourites as it provides the tail end of winter comfort food if the weather is still cold, but provides a healthy dose of spring greens. Wild garlic pesto and nettle and leek soup is also a very tasty and quick recipe to get a bit of spring zing in your diet. Heat a shallow pan and add 1tbsp ghee/ butter and then the onion. Cook till soft, about 5 minutes then add the rice and stir for two minutes until coated. Add the wine and stir, then a ladleful of hot stock and cook till absorbed, stirring all the time. Keep adding ladle full of stock and stirring until the rice is nearly cooked. Stir in the wild garlic, lemon zest and the rest of the ghee/butter. Season and rest for a few minutes before serving. 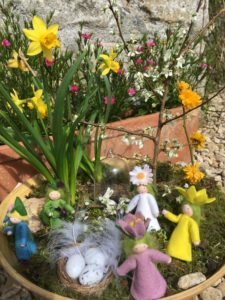 Divide into 4 bowls, scattering with wild garlic flowers. 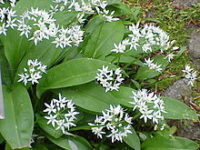 Wild garlic (or Ramsons) grow widely in dappled shade and woodlands, and its location is given away by its strong smell. Pitta types should enjoy in moderation. Toss this into wheat free past, swirl into vegetable soup or serve with roasted vegetables for a Spring treat. You can also use wilted leaves on top of pizzas and pasta, in omelettes, soups, stir fries and stuffed in bread. Heat the oven to 180C and toast the nuts for 5 minutes. Leave to cool and the put in a food processor with all the other ingredients. This pesto will keep in the fridge in a jar for up to a week. Stinging nettles are rich in Vitamins A, C and D with appreciable amounts of iron, potassium, manganese and calcium (which is unusual for a leafy, green protein). In peak season, a plant can contain up to 25% protein! (Source: The Thrifty Forager, Alys Fowler). 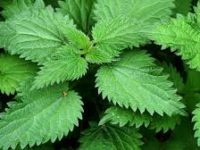 Once cooked, the sting is rendered harmless but you will need gloves to collect the young, tender growing tip of nettles somewhere unpolluted. Wash well before use. Don’t eat after June as particles have accumulated in the leaves by then which are harmful for kidneys. As well as soup, you can also add nettles to risottos and make a herbal tea with the leaves. Put about a pint of water and one pint of milk into a sauce pan (almond milk is a good dairy free alternative). Bring to a simmer and stir in two teaspoons of Marigold Bouillon or vegetable stock cube. Add one large peeled and diced sweet potato, two crushed garlic cloves, a chopped leek, and a small chopped onion. Simmer for 20 minutes then add 150 g of spring nettle tops, 150g of wild garlic leaves and some salt and pepper. Cover and simmer for another 5 minutes then blend and serve, decorated with wild garlic flowers. Simple, nutritious and delicious!